The St. Clair Flats Hunting Retriever Club wants to welcome you to our new club web site. Our club was founded December 10th, 1995. We are affiliated with the United Kennel Club, Inc. and the Hunting Retriever Club, Inc. We have a strong relationship with Perch Point Conservation Club, and the D.N.R. in the St. Clair Flats area. 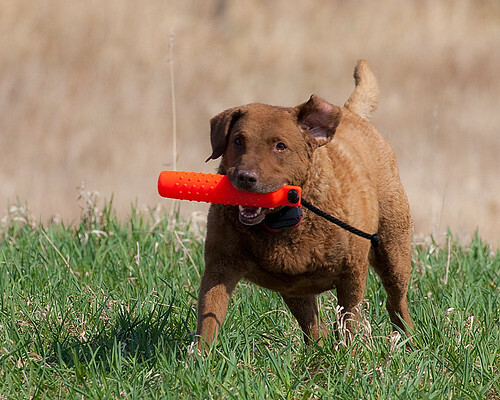 We train and test Hunting Retrievers under actual hunting conditions. We work collectively toward the betterment of Hunting Retrievers as a whole and to influence the breeding and training of better Hunting Retrievers. As a member, you will receive ten issues of our news letter throughout the year, and a bi-monthly magazine that comes with your National Membership. We hold monthly meetings at Perch Point Conservation Club. These meetings will be posted in our news letter. We usually suspend activities in October and November so we can maximize our hunting season. We conduct training sessions on a regular basis; and you will also receive a club roster with your monthly news letter, which will have contact info for other club members, so training arrangements can be made with them direct. We hold a licensed Hunt Test at least once a year; hopefully twice, once in the spring, and once in the fall. We are also thinking about holding an Upland Hunt Test in the future. St. Clair Flats Hunting Retriever Club is a volunteer organization and we rely solely on our member’s participation. “The UKC/HRC, Conceived by Hunters, for Hunters”. Again, WELCOME, and GOOD HUNTING !! !